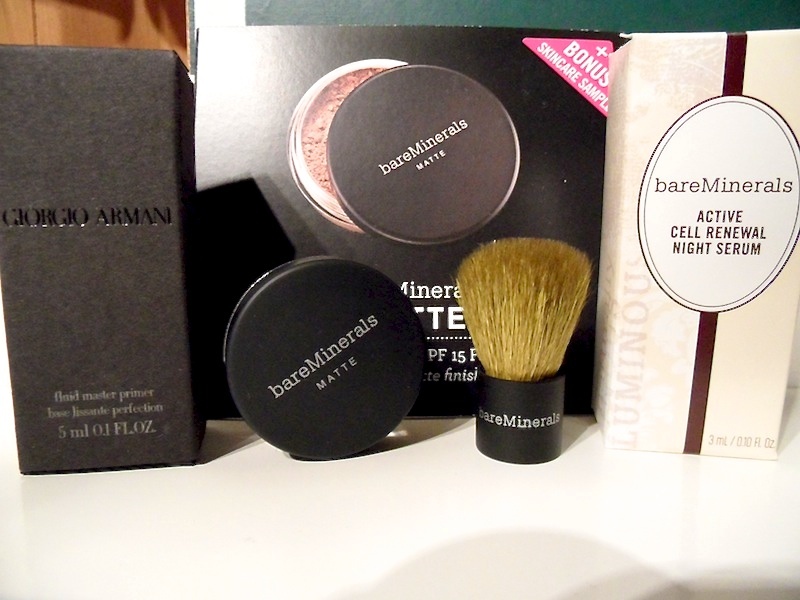 Lisa's Cosmetics Warehouse Sale 2012 Haul & Black Friday: Sephora & Brandy Melville! So after a long... tiring weekend consisting of very little sleep and for the first time ever taking the night bus in the morning!!! I have to share with you a small collective weekend haul! For Black Friday, I missed a lot of the online deals but I made sure to get to Sephora right when they opened (@ 6 AM, kill me now) and this btw consisted of me waking up at 4:15 AM which is something I never EVER do... especially when I went to bed past 1 AM! I went with my aunt as she took the week off :) and no one thought I could do it but I did! It was well worth it, but now I know for next year not to bother going downtown. There weren't many sales. The only excitement was Breakfast Television hosting free giveaways! We didn't win anything :( Anyways.. got to Eatons at about 6:10 AM and had my aunt go to guest services where they were giving $10 gift cards to the first 100 in line. Of course there was a massive line already (as well as the giftcards being given out at H&M) so we didn't get either... these people must be crazy, getting there at 4 AM to wait 2 hours. Here is what I got from Sephora... only 6 items @ $12 each, the total came out to about $80. I adore these! Used them twice and haven't broken out, they remove my makeup well enough but as other reviews have said yes they take a lot of rubbing to remove eye makeup. UPDATE: Using them a few times they seem to burn my face a little, I heard it's from the grapefruit, will update as to whether they break me out or not. << YES, they seemed to break me out. I was using them with Naked Skin FD so I don't know but either way they burned, so I returned them to Sephora. Sephora Gilded Brush Set Trio: These feel super soft and are very sparkly and eye-catching, can't wait to try them out! Too Faced Deluxe Chocolate Soleil Matte Bronzing Powder & Travel Kabuki Brush (x3): This is my HG bronzer so I had to stock up! I got my aunt to get an extra one as a gift :) Although the kabuki is super tiny... what is this for really? I think I can maybe contour with this...maybe? Second stop... Brandy Melville @ Queen and Spadina! This by the way was brutal! As I had to wait in line with tons of girls for an hour... then inside we're lined up for the fitting room and about 8 of them decide that they can join their friend in front of me when there's only 4 fitting rooms (and you have to be in the cash line by 11 AM to get the 20% discount)! It was one of those kill me now moments.. I honestly no longer wanted to be there but I came so far... and everything was 20% off.. one of the employee's noticed and politely asked them to get behind me, I didn't want to have to argue with anyone about jumping the line...again.., why does this always happen to me everywhere..lol. Can I grow a few inches please..
My total came out to about $102 I believe. This was my first time going, and I had to wait a ridiculous 3 hours in line in the cold. I had to stand with my complaining bf the whole time, it was terrible.. I made it up to him by buying him a few bathroom essentials he needed! Btw I also wasted my time in line as I did not buy any makeup products and the household essentials probably would have still been there later on. Sorry girls. Nothing too interesting here..hehe. Although the total was still $99.25. I bought about $20 worth of stuff for the bf but left it at his house. The Lysol wipes were the best deal by far... and the Febreze! Honestly I needed this stuff and since I didn't find any makeup I wanted I just focused on essentials.. the Tivoli Nail Polish Remover pads were $1 and Style Snaps were $3. Did you go to Lisa's Cosmetics Warehouse Sale? What did you buy!? I'd love to see black friday hauls as well. Leave me a comment about it! 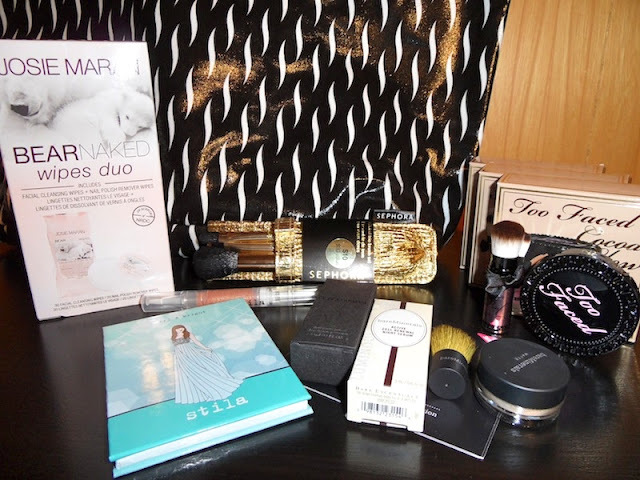 Topbox: Lise Watier Complimentary Tobpox!